If you or a loved one has been arrested, please contact our knowledgeable staff with Jonesboro Bail Bonds. Anytime Bail Bonding, Inc.’s Jonesboro office is one you can trust as we have your best interests in mind. We are available 24/7 and our staff will walk you through the entire bail bond process. We are conveniently located at 9003 Tara Boulevard, Suite A, Jonesboro, GA 30236. When you need assistance, call us at (770) 472-0069. Many businesses advertise bail bonds in Jonesboro. Anytime Bail Bonding, Inc.’s Jonesboro office offers the most efficient service with professional and knowledgeable staff. After your bail has been set, it is time to contact a trusted bail bonds office in Jonesboro – that would be Jonesboro Bail Bonds! We have agents available 24/7 when you need assistance. When emergency strikes, call us first. Please be prepared to provide the following information on the defendant: date of birth, arresting charge, jail being held (county, city, state), arresting agency, booking number and bail amount. After payment of a small non-refundable charge, which is approximately 12 to 15 percent of the bond, we will contact the jail facility and arrange a release. Some additional fees may apply. This is a more affordable option than paying the full amount of the bond to the court. What is the Role of Bail Bondsmen in Jonesboro? Bail bondsmen ensure appearance in court until a case has been disposed of. At Anytime Bail Bonding, Inc. we understand that not everyone has the money to post the full amount of their bail with the court. If you hire on of our bail bond experts, we may be able to assist you with a payment plan. We may also take some form of collateral, such as real estate, to further secure the bond. We will contact you several times throughout the process to make sure that you appear in court. There are a number of benefits that come from working with a trusted Jonesboro bail bondsman. An experienced bail bonds company establishes good relationships with the courts in the area to secure your release from jail in a timely manner. 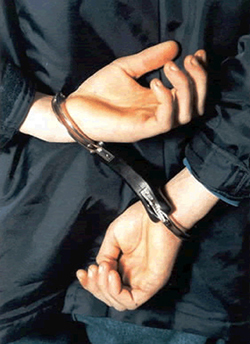 We handle all types of bail bonds, large and small, as well as immigration bonds. We know the bail bonds process can be intimidating and will walk you through the in’s and out’s and work with you until your case has concluded. For over 20 years, Anytime Bail Bonding, Inc. has helped individuals post bond and secure their freedom from jail. We understand the need for assistance during this stressful time and are there to help you and your loved one. Don’t waste unnecessary time behind bars. Call our experienced professionals with Jonesboro Bail Bonds today: (770) 472-0069. Serving Clayton County and all cities.